The old adage states that when life goes tough people turn to social scientists to get relief. Politicians are not spared in this regard. The impending elections have increased the traffic of political players who consult the so called prophets and n'angas in order to establish if they will win the elections. MDC Alliance presidential candidate, Nelson Chamisa had been wandering along the same lines. While on his campaign trail in April, Chamisa stopped at an Apostolic Faith Mission Youth Conference which was being held at Rufaro Mission in Chartsworth, Gutu, Masvingo Province. He tried to woo the youths who constitute the largest chunk of voters to elect him promising them a brighter future. In May, Chamisa was photographed together with Alliance principal, Tendai Biti praying in the wilderness. The photograph was taken after a rally which they held in Mashonaland East Province. For all the wrong reasons why would someone invite a photographer to take one's photo while praying? Obviously this was done as a publicity stunt. Jesus Christ taught in Matthew 6 verse 6 that "But when you pray, go into your room, close the door and pray to your Father, who is unseen. Then your Father, who sees what is done in secret, will reward you". Chamisa decided to make a public showing of the praying session contrary to what the word of God say worse still for a pastor. When he visited the United Kingdom in May, Chamisa attended a church service at the AFM Salvation Stevenage Assembly. During the service for whatever reason, Chamisa was seen praying for a kid in a wheelchair. One wonders what political gimmick or political mileage Chamisa sought to score. On 7 June, while launching his manifesto, Chamisa out of the blue blurted out that his government would establish a Zimbabwean embassy in Jerusalem, Israel and urge Israel to re-open its embassy in Harare. This was done with a view to court the Pentecostal Christian movement to vote for him. Given that Israel is an ally of the United States of America (USA), he wanted to be as close to the US as possible in order to secure some funding as his party is suffering from donor fatigue. These are clear signs of desperation. 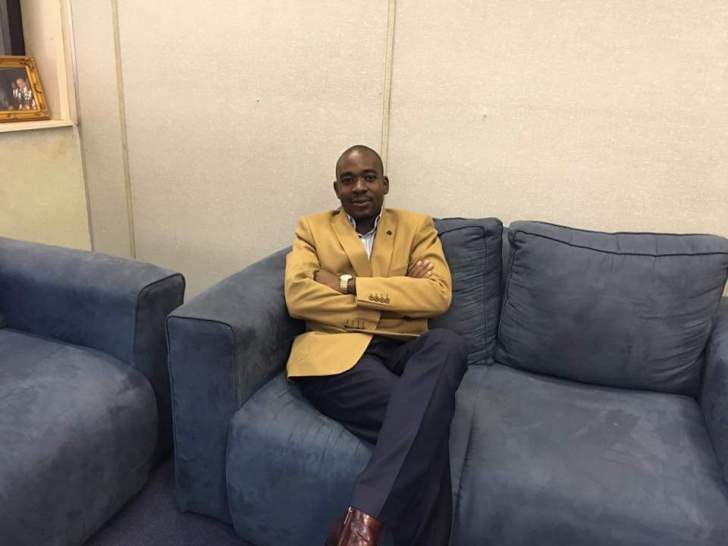 On the heels of such utterances, Chamisa felt that he could not make it alone and decided to take a trip to the holy land of Israel. While in Israel, Chamisa updated his Twitter followers on his trip. "In Israel I've just been to Nazareth, Cana, Sea of Galilee, River Jordan, Bethlehem, Mount of Olives and Jericho on a private visit. I'm fortified in my faith. Israel has a fantastic road network & superb architecture in housing. We will get there in our New Zimbabwe#beholdthenew," he tweeted. One of his followers, Kelvin Kufakunesu‏ @kevykufee24 seemed to buttress the spiritual pilgrimage, "This visit will help change our situation. Zimbabwe will never be the same again". What also surprises most people was that Chamisa travelled to Israel to re-trace the footsteps of Jesus Christ trying to get an inspiration so that he could win the election. One lesson that Chamisa should learn is that Israelites are very patriotic to their nation. They do not go about inviting sanctions against their own people. His dream of matching Israeli infrastructure can only be achieved after he has learnt to preach peace, refrain from bad utterances and unfounded allegations. Upon landing back in Zimbabwe, Chamisa attempted to test his "newly acquired skills" and went on to address a rally in Mvurwi, Mazowe North Constituency, Mashonaland Central Province which attracted a paltry 2 000 people. The poor attendance at a rally, which was being addressed by a presidential candidate especially a vocal one for that matter, is a monumental embarrassment. Zvinosvodesa izvi. What Chamisa seems to be ignorant of is the basic truth that no amount of hollering at the wailing wall of the ruins of Solomon's temple in Jerusalem will garner him votes unless he and his party roll up their sleeves and work hard for the Zimbabwean electorate. Unfortunately, they are out of time. No amount of #GodIsInIt Twitter campaigning will win him the forthcoming elections since he and his party have failed to honour the electorate's trust by neglecting to serve them over the past five years. Very soon Chamisa will follow in the footsteps of his predecessor, the late Morgan Tsvangirai in travelling to Nigeria to consult the West African men of the cloth in the vain hope of landing a miracle electoral victory, which he has not worked for. Locally, he is likely to try to visit the Njelele shrine, in Matabeleland South Province in search of an unmerited electoral victory.